ALLEGRA BOVERMAN/Staff photo. Gloucester Daily Times. 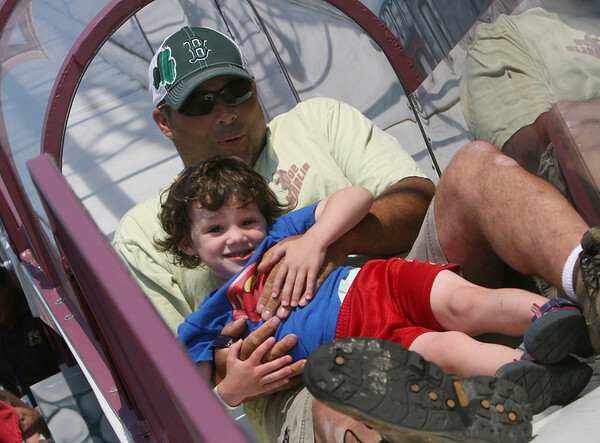 Gloucester: Tanner Smith, 3, and his dad Kevin Smith, both of Gloucester, slide together inside the Wizards' Wand at the carnival at Fiesta on Friday afternoon.